Aquarius, AQ Aqua Nova, Biomax, Biocycle, Biosystems 2000, Fujiclean, Graf ePro, Taylex alternative wastewater sewage systems. ATU - Aerobic Treatment Unit servicing in Perth and the Hills, Goldfields, Wheatbelt and other parts of regional Western Australia. Routine service and sales of approved Ecocare Activator and Enviroplus cleaning and paper products. Are you looking for a specialist technician to regularly service your Aerobic Treatment Unit? You may have an aerobic septic wastewater sewage treatment system at your home or business. We are West Australia's largest provider to service and maintain Aerobic Treatment Units (ATU). Perth Metro, Hills, Northern Valleys and a growing list of regional WA locations including the Wheatbelt and Goldfields. 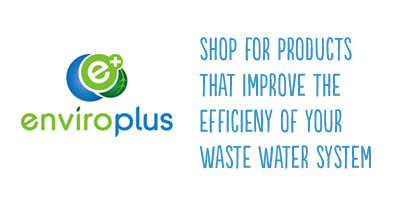 We use and recommend Enviroplus and Insight Environmental products and paper-goods. Greywater, blackwater and septic-safe cleaning, remediating and paper products. Family & planet-safe, these products improve the performance of your non mains septic sewage Aerobic Treatment Unit (ATU). Learn how to take proactive care of your Aerobic Treatment Unit. Sign up for our news today. We respect your privacy. Your information will only be used for the stated purpose and will not be passed on to any third party. You can unsubscribe at anytime.